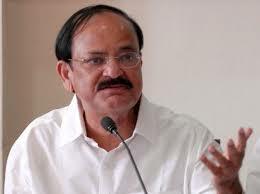 The Vice President of India, M. Venkaiah Naidu has said that India is keen to see the conclusion of convention on the suppression of international terrorism, which is threatening world peace. He was addressing the 78th Session of International Institute of Law at NALSAR University of Law in Hyderabad, yesterday. The Governor of Telangana, E S L Narasimhan, the Acting Chief Justice of High Court of Judicature at Hyderabad, Justice Ramesh Ranganathan, the Deputy Chief Minister of Telangana, Shri Mohammad Mahmood Ali, the Minister for Law, Government of Telangana, Shri A. Indrakaran Reddy and other dignitaries were present on the occasion.